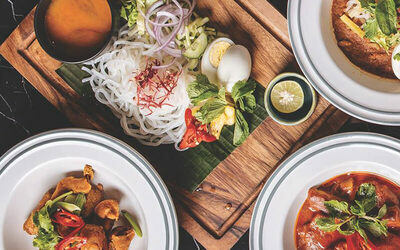 If you are a sucker for brunch foods and prettily-plated dishes, treat your eyes and your tastebuds to a myriad of menu options at Ate_Cetera. From classic dishes like French toast, eggs Benedict to pastas, Japanese rice bowls, burgers, sandwiches, pizzas, light snacks, and more, take your pick on your meal of choice with their extensive menu list. Valid Mon - Sun: 8am - 11pm (including public holidays).